Dr Anita Davis-DeFoe is a busy woman. She’s a career and workforce development expert, a business thought coach, CEO of the Global Cottage, a consultancy organisation assisting people in building their impact, a speaker and trainer, social entrepreneur and author. Through all of this, she uses her 20 years’ experience to motivate, coach, inspire and transform women and organisations around the world. Dr Davis-DeFoe speaks globally at conferences, retreats and seminars to inspire and transform people, processes, programs and places and believes it’s crucial we focus on empowering women in particular. ‘I was a director of an alternative school in the US Virgin Islands, and far too many girls—and in some instances, their mothers as well—were faced with challenges for which their resiliency skills were in short supply. My late father was a city councilman and I helped him implement a range of projects, which led to me expanding my work in personal development. I was asked to conduct a special group for girls in high school as they were facing self-esteem and confidence problems, fear and bullying, and struggling to overcome abuse and abandonment. 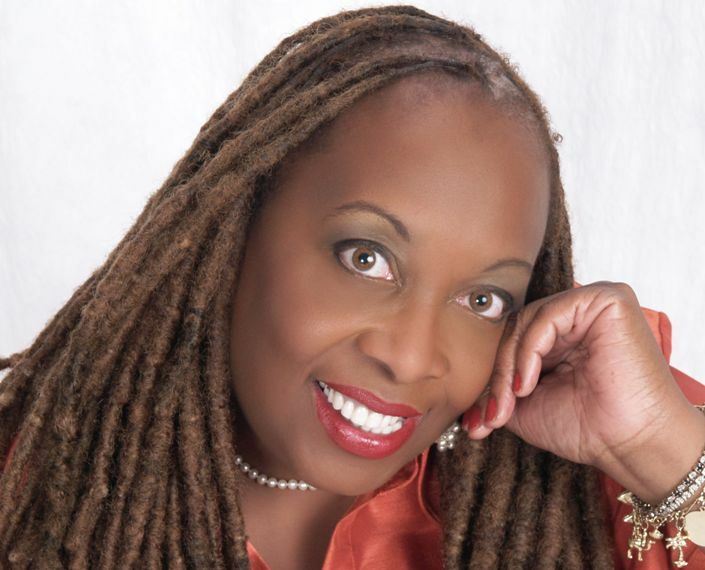 As well as her programs, Dr Davis-DeFoe has written a rites of passage curriculum for girls called Soulful One: For Girls on the Pathway to Greatness, as well as books on leadership skills and soulful living. From girlhood to womanhood, Anita’s teachings and words of wisdom are here to help. The Circle of 99 Women’s Network sees women from all around the world work as solutionists to lead programs and projects uplifting women, families and communities, while A Woman’s Guide to Soulful Living: Seven Keys to Life and Work Success and Follow Her Lead: Leadership Lessons for Women as They Journey from the Backroom to the Boardroom inspire women in work to reach their potential. And she’s pretty proud of what she’s doing for people around the world. When asked what she was most proud of in her career so far, Dr Davis-DeFoe found it difficult to answer. In honour of her global human development and social entrepreneurship work, Dr Davis-DeFoe was named the first Woman Chief by the ITAM CLAN in Abwu Ibom State Nigeria in 2012 and was awarded the African Leadership Award from Voice Magazine in 2014. She wants people and organisations around the world to recognise improving access to opportunity for women is desperately needed. ‘Women face wage disparity, career advancement challenges, sexual harassment, questions about their ability to lead, and a tremendous amount of self-doubt. Women need support such as mentoring, skill building, and mastermind groups that serve as mentoring groups enabling them to gain personal confidence as they pursue their chosen career or entrepreneurial pathway. Improving access to opportunity for women is much needed as this can serve to reduce generational poverty and improve quality of life. Today’s workplace globally requires a different organisational culture if an enterprise is to remain competitive. Gallup reports that employees are only 30 percent engaged, which is a bit scary when you think about organisational productivity and my mentor, international leadership guru John C Maxwell, states that everything starts and ends with leadership. It makes sense then, to work on boosting women’s leadership skills and supporting women to the top. But reaching your ultimate potential is more than just being a good leader: you need to live soulfully.